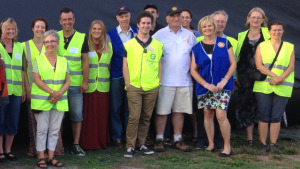 A partnership was initially launched in February 2015 through our the Rotary Club of Canterbury sponsoring a moonlight cinema evening for Interchange Inner East in Canterbury. Two hundred people enjoyed a barbecue tea, supplied and cooked by the Rovers. 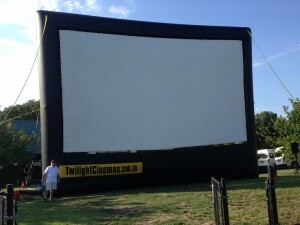 This was followed by the movie, ‘Penguins of Madagascar’, provided by Twilight Cinemas. Interchange Inner East is a not for profit organisation that provides quality respite services to families who have a young person with a disability living with them. Respite means ‘having a break’. Interchange Inner East provides assistance in your home or through supported activities in the community, to ease the ‘caring’ burden for parents and families of a child or young adult living with a disability. Carers encouraged the kids to dance enthusiastically to video music before the movie. The Rovers supplied everyone with free ice-creams. Rotarians served the dinner, marshaled the traffic, and helped to set up and pack up. The movie was a hit and the weather couldn’t have been more perfect. A meeting with the Girl Guides set the foundations for a productive partnership between the Guides, the Scouts and our Rotary club. We work together to raise awareness of our organisations in the local community and to work cooperatively on service projects. Initially we are working together to support Interchange Inner East. This organisation is located in Canterbury, to offer top quality, affordable specialist children’s and adolescent respite/recreation support to local families. Our club was able to sponsor the first event in 2015 with income from the donation we received from the Maling Road Business Association, as a result of the assistance our club members provide each December to the Maling Road KristKindl Festival. When Rotary partners with other organisations, we can achieve so much more than we can on our own. It is also very rewarding to meet like minded people and share stories while we are running activities that are so much appreciated by the recipients. People can join Rovers when they are between 17 and 25 years old. Usually they are looking to get involved in the outdoors, making friends for life, as well as service to the community and Scouting. 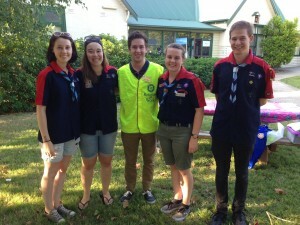 Typically Rovers enjoy helping others, having a great time and taking on new challenges. 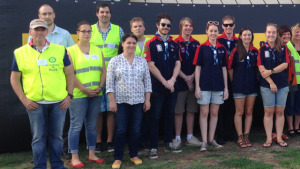 Very successful Interchange Inner East Twilight Cinemas have been held each year since 2015. The evenings are terrific fun with a sausage sizzle and ice creams, pre-film entertainment included face painting and game activities. The films are thoroughly enjoyed by all attendees. It has been was great to have some of the Glenallen school people and their families come along to enjoy the events. We are a hands-on Rotary Club. Our members like to be involved with our service projects. If you ever needed a justification for becoming a Rotarian, all you needed was in the delight on the faces of those kids who attend these events with their families.